I have to give our hotel a bit of a plug. 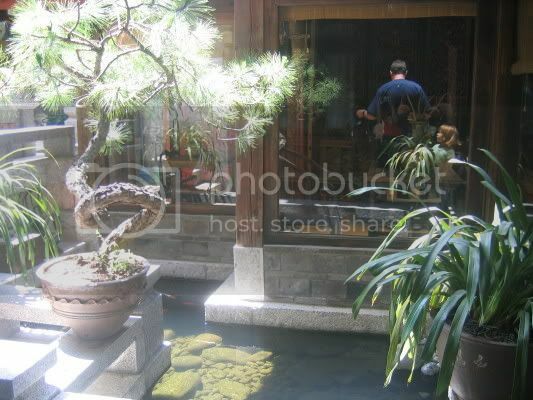 I checked out the hotel reviews for Lijiang on Trip Advisor, my bible of travel and found a little gem called Zen Garden. 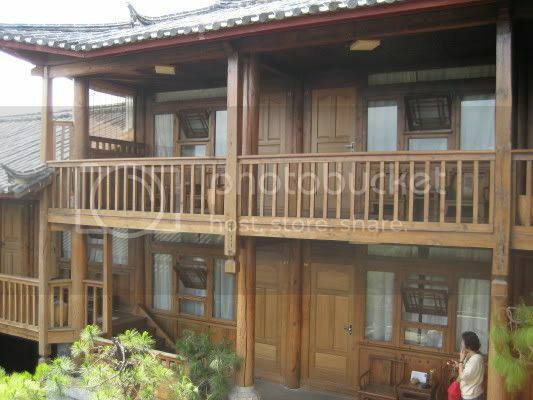 We paid a whole whopping $50 per night for this great little place right in the heart of Old Town Lijiang. 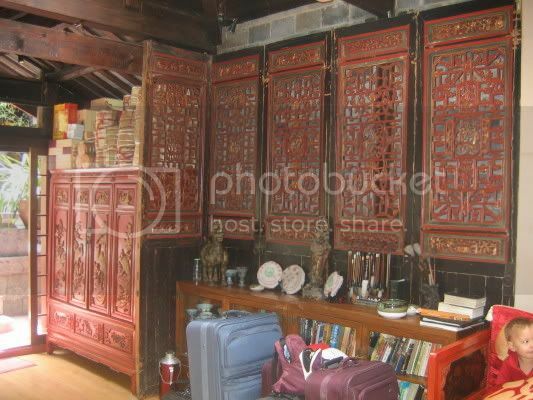 It was decorated nicely with gorgeous Chinese antiques. Here is the entrance. They had lots of great plants all around the hotel too! 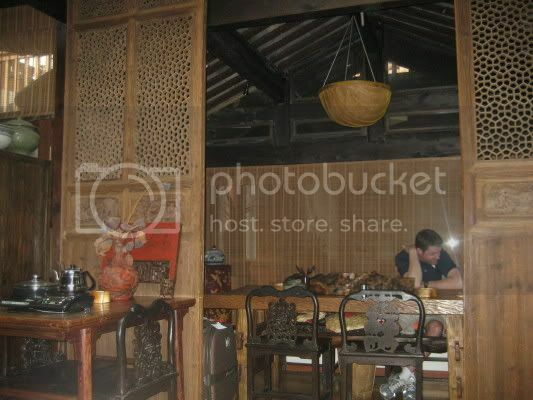 They had a nice tea room. Some of the great antiques. 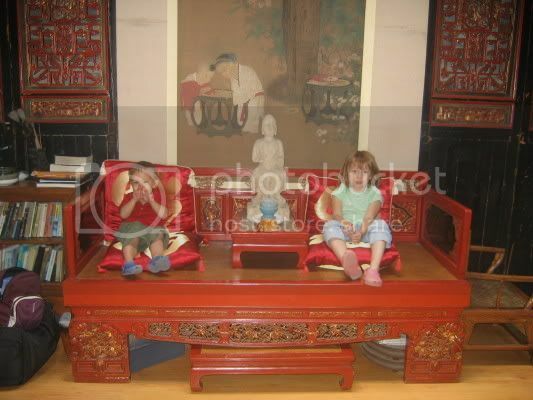 Gemma and Angus on an opium bed. Our room was up here and we had a great view of the entire Old Town. 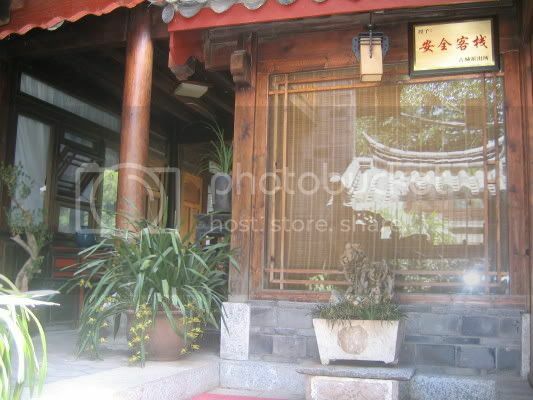 If you ever get a chance to make it to Lijiang I highly recommend this great place with a fantastic location. Your blogging is as great as ever, Kim. 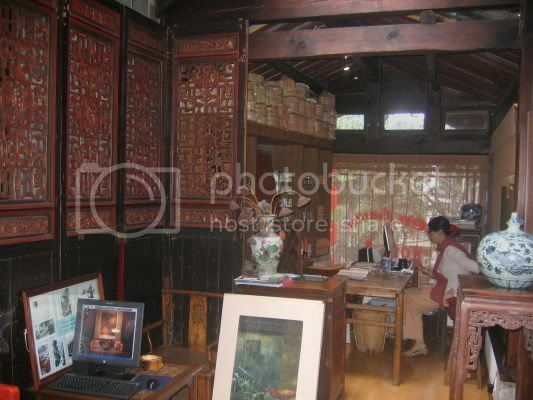 Lijiang looks very interesting and I can't imagine a production like Impressions Lijiang over here! I completely agree with your Tripadvisor thoughts - it's amazingly spot-on.